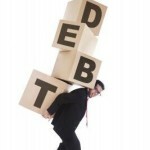 Student Loan Borrowers – Watch Out for Harassing Debt Collectors! We have all heard that student loan debt is a huge problem facing our nation. Students are graduating from college with thousands of dollars in student loan debt and then they struggle to find a decent paying job in their chosen field. To add salt in this wound, the graduates are also being harassed by debt collectors. 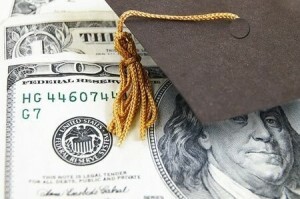 The debt collection industry is increasingly focusing on student loan debt. Not only is the mortgage crisis coming to an end which is slowing down the collection efforts on those types of loans, but student loans are difficult to discharge in a personal bankruptcy filing. In order to eliminate your student loan debt in a Chapter 7 or Chapter 13 case, you must prove an “undue hardship,” which is a tough standard to meet. As a result, the debt collection agents understand that there is no real option for a student loan borrower to obtain relief from their harassing and abusive tactics. The government has made some small strides in deterring abusive conduct by student loan debt collectors, but it is obvious that more extensive efforts are necessary. For instance, it is time for the burden placed on students attempting to discharge their student loan debt in a bankruptcy filing to be lowered. While there is not a simple answer for graduates who are facing an overwhelming amount of student loans, if you are being harassed by debt collectors, let us help. We can look to see if a debt collector is violating your rights under the law in its collection efforts. If so, we may be able to file a lawsuit against the collector seeking a monetary judgment. Additionally, while you may not qualify to discharge your student loans in bankruptcy, filing a case can still provide you relief. Not only will the automatic stay prevent further collection efforts against you, but you may also be able to create a more manageable repayment plan under Chapter 13. If you have questions about filing for bankruptcy protection or how to handle aggressive debt collectors, we have the answers. Call us today to schedule your initial consultation. Our office is located in Melbourne, but we proudly serve individuals and businesses across the State of Florida. This entry was posted in Debt and tagged attorney, borrower, Brevard, debt collector, Eastern Florida State College, harass, lawyer, student loan on October 14, 2015 by Michael Faro. Improper service. If you are not validly served with the summons and complaint, you have an effective defense (if timely alleged). Statute of Limitations. 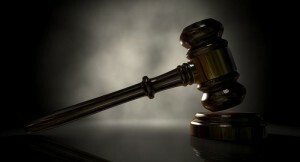 The plaintiff seeking a monetary judgment against you must file the lawsuit by a certain deadline or it is time barred. 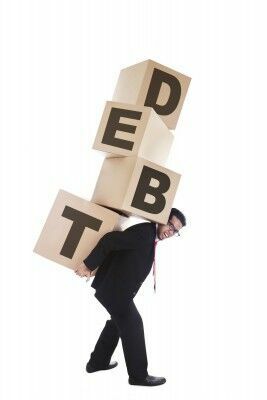 You have a defense if the debt has gone “stale” and the creditor has lost its right to sue you to collect it. Improper plaintiff. The party suing you must have the right to sue you. In other words, the plaintiff must be owner of your debt. This means that if your account was sold to a collection agent and the original creditor failed to properly transfer the documentation evidencing your debt, it may be possible to get the suit against you dismissed. Wrong defendant. 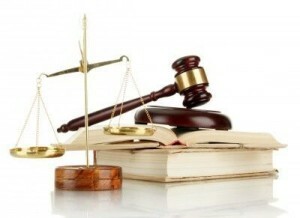 If you can prove that you did not incur the debt and that it does not belong to you, the court may dismiss the lawsuit. Debt discharged. If you filed a prior personal Chapter 7 or Chapter 13 case and included the debt in your filing, proving the debt was discharged will prevent the creditor from proceeding with the lawsuit against you to collect it. Identity theft. 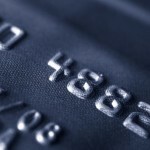 If the debt was incurred as a result of you being the victim of identity fraud, it is a valid defense to the lawsuit. Accounting errors. You may have a partial or full defense if the plaintiff failed to correctly credit your account with payments or made some other accounting errors. Unlawful debt collection. If the plaintiff used illegal debt collection practices against you, we can help you allege a counterclaim in the lawsuit. This means that you file a claim against the plaintiff seeking money damages which can be used to offset the amount you owe the plaintiff. If you are interested in learning whether one or more of the above defenses are available to you, please contact us to schedule an appointment. Our office is located in Melbourne, but we proudly serve individuals and businesses across the State of Florida. This entry was posted in Bankruptcy, Chapter 11, Chapter 13, Debt and tagged attorney, Brevard County, collection, defenses, lawsuit, lawyer, Melbourne, service, Space Coast, statute of limitation on October 9, 2015 by Michael Faro. It takes time. You may not be eligible to qualify for a mortgage immediately, but give it time. For example, if you completed a Chapter 13 bankruptcy and you have good credit afterward, you may be able to get a home loan after one year. However, after a foreclosure, you will need to wait seven years before you qualify for a conventional loan that can be sold to Fannie Mae or Freddie Mac. There are also several time frames between these two. The point is, don’t assume that filing for bankruptcy will prevent you from every owning a home again. It will take time and hard work, but you might be surprised at how quickly you can qualify for a mortgage again. Work on your credit score. After a bankruptcy, foreclosure or short sale, it is important that you work on improving your credit score. This means making payments on time and showing financial responsibility. 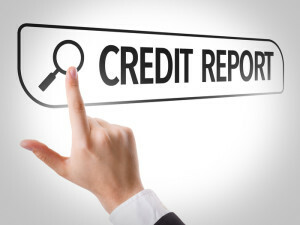 Additionally, you should review your credit report on a regular basis to ensure it is correct. If you discover any errors, you should immediately have them corrected. Plan ahead. It is essential to understand what the consequences are of filing for bankruptcy protection or foreclosure or short sale of your home. A seasoned attorney can help you understand what to expect and to assist you in obtaining the necessary financing when you are ready to buy a new home. If you have questions regarding how a foreclosure, bankruptcy or short sale will impact your ability to buy a new home in the future, contact Faro & Crowder today. Don’t delay any longer. Call us today to schedule your initial consultation. Our office is located in Melbourne, but we proudly serve individuals and businesses across the State of Florida. This entry was posted in Bankruptcy, Chapter 13, Chapter 7, Debt and tagged attorney, bankruptcy, Brevard County, credit, foreclosure, lawyer, Melbourne, negative event, rating, score, Space Coast on October 5, 2015 by Michael Faro. The debt collection industry is well-known for its harassing tactics used to persuade consumers to pay their debts. As a result, an important set of laws called the Fair Debt Collection Practices Act (FDCPA) was passed to provide consumers with a variety of protections from creditors using deceptive or abusive practices in their collection efforts. Under the FDCPA, a debt collector is defined as an individual or entity that regularly collects debts owed to others. Collection agencies, lawyers who routinely collect debts and debt-purchasers may all be included in this definition. Unfair practices. A debt collector must act fairly and legally when attempting to collect a debt from you. Examples of prohibited unfair practices include attempts to collect additional amounts that are not permitted by law or contract, depositing post-dated checks early, threatening to seize your property when it cannot be done legally, or contacting the consumer regarding the debt by postcard or other public means. Harassment. A debt collector is prohibited from threatening violence, using profane language or repeatedly calling you in an effort to annoy you into making a payment. Also, a collector cannot threaten to add you to a published list of people who have refused to pay their debts. False statements. A debt collector is prohibited from lying about who they are or who they work for. They must tell you the truth regarding the amount that you owe and actions they will take against you. It is unlawful for the collector to claim that you have committed a crime by not paying your debt. The documents that a debt collector sends to you must also be true and correct. Any information provided by the collector to a third-party, such as a credit reporting bureau, must be true. Dealing with debt collectors can be stressful. If you believe you are being illegally harassed or you are ready to take action to handle your debt, let us help. We can review your individual financial situation and help you understand all of the debt relief options available to you. This entry was posted in Debt and tagged attorney, Brevard County, debt collector, false statements, FDCPA, harassment, lawyer, lie, Melbourne, Space Coast, unfair practices on October 2, 2015 by Michael Faro. If you are delinquent on your vehicle loan or your case has been seized and auctioned off, it is time to seek legal help. We can review your individual circumstances and help you understand all of the debt relief options available to you. The quicker you contact us, the sooner we can provide you with the help you need. 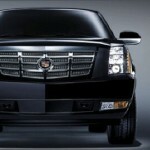 You are probably aware that your vehicle starts to lose its value as soon as you drive it off of the dealer’s lot. Thus, when your auto lender repossesses your care and sells it, the proceeds from the sale are rarely enough to pay the full amount of what you owe on the loan. This means that there is a deficiency balance left due and you are usually still obligated to pay it. How does the auto auction work? Each state has its own laws governing how secured lenders can sell repossessed collateral. Generally speaking, the lender is typically required to provide you with a written notification that your car will be sold. The notice will list the date, time and location of the auction or other type of sale. The borrower should also be informed of whether he or she will remain liable for any remaining deficiency balance, as well as how the borrower can find out how much is still owed on the loan. Asset sales can be private or open to the public. A private sale is conducted for certain parties who the lender believes will be interested in buying the collateral being sold, while a public sale is open to anyone. 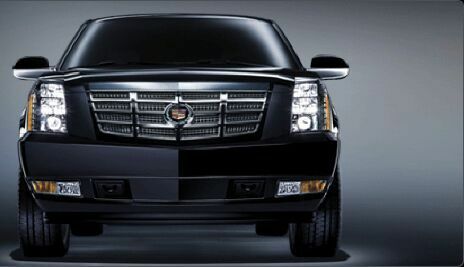 Private sales are only allowed in certain circumstances, but many cars are routinely sold at private sales to auto dealers. If the sale notification fails to inform you of the date or location of the sale, you should contact the lender and request that the information be given to you. A borrower has the right to attend either type of sale of his or her own vehicle. What does “commercially reasonable” mean? The lender must sell a repossessed vehicle in a ‘commercially reasonable’ manner. There are numerous interpretations of this standard, but because most car sales are primarily attended by used car dealers, the bids are low and the sales are still considered to be commercially reasonable. This means that most borrowers are left owing a pretty substantial deficiency balance. How is the deficiency balance calculated? When the sale has ended and your case has been sold, the sale price is subtracted from the total amount you owe on your vehicle loan. The remaining amount plus the expenses incurred by the lender in seizing, storing and selling the vehicle are added together for the total deficiency balance. If you have questions about your auto loan or a deficiency balance, we have the answers. Call us today to schedule your initial consultation. Our office is located in Melbourne, but we proudly serve individuals and businesses across the State of Florida. This entry was posted in Debt and tagged attorney, auto loan, Brevard County, car, deficiency balance, lawyer, lender, Melbourne, repossess, Space Coast, vehicle on September 11, 2015 by Michael Faro. Can I save the business? If you have run the numbers or you’ve been struggling to make ends meet for a long time, it may be time to face the hard truth that the business cannot be saved. You may want to avoid having the business file for bankruptcy protection, but not at the expense of your own personal financial stability. Before depleting personal funds to save your entity, confer with us so we can explore all of your available debt relief options. Can I lower my expenses? You might be surprised at how much you can help your business by cutting back on your expenses. If you are unable or unwilling to use personal funds to keep your business afloat, consider the ways you can reduce your costs. Many times this requires you to be creative or take certain steps that are unattractive, but if the cutbacks help you keep the doors to your business open, they are likely worth it. Most business owners do everything in their power to increase their sales. If your company’s exposure has been limited to one market, consider ways to expand. With the use of the internet, there are a variety of ways to get your company’s name out there at very little cost. And don’t forget the customers or clients you already have – contact them and offer incentives for them to give you repeat business or to pay you quicker. It may even be beneficial to confer with your suppliers and negotiate discounts and/or payment plans. If your business has been sued for fraud or breach of contract, the legal team at Faro & Crowder can help. Our office is located in Melbourne, but we proudly serve businesses across the State of Florida. This entry was posted in Debt and tagged attorney, Brevard County, Business, debt, expenses, lawyer, Melbourne, questions, Space Coast on September 7, 2015 by Michael Faro. Many individuals contact us because they are drowning in debt and don’t know which debt relief option is the best for them. We commonly get questions regarding having debt “written-off” by lenders and how it impacts them. Typically, a lender will write-off your debt (also referred to as charging-off your debt) if you have been delinquent on your payments for a long period of time. In fact, many companies have an internal accounting procedure that automatically performs this function because it permits the lender to deduct the loss as an expense. What does it mean to you? If your debt is written-off, it is important to understand that you are still liable to pay it. For example, if your credit card company writes-off your debt, it can still continue its collection activity against you. The original lender can attempt to collect it from you or, more commonly, your delinquent account will be sold to a collection agency or a debt-buyer. 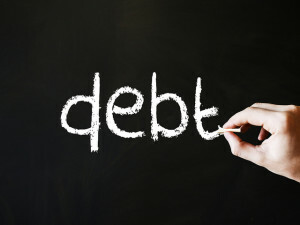 When a debt-buyer purchases your debt, it is for a substantially lower amount than what is owed. Because your account was purchased at a discount, the collector may be willing to spend the money to file a collection lawsuit against you. If you fail to respond to the lawsuit (which the collector is hoping will occur), a default judgment will be entered against you. Once the collector has a judgment, it can file a garnishment of your bank account and/or wages, as well as take advantage of other collection tactics. If you are considering filing a Chapter 7 or Chapter 13 bankruptcy, you should be sure to include your debts that have been written-off. As soon as your bankruptcy petition is filed, the automatic stay goes into effect and all collection activity against you must cease. This includes the harassing telephone calls, lawsuits, garnishments and other similar efforts. If you are hesitant to file for bankruptcy and you have collection lawsuits pending against you, it is important to contact us for help. Do not ignore the lawsuits because they will not just disappear! We can file an answer on your behalf and prevent a default judgment from being granted by the court against you. You may have several defenses available to you as well. We can use this time to negotiate with your creditor and attempt to reach a settlement for a significantly lower amount that what you owe. This entry was posted in Debt and tagged attorney, bankruptcy, Brevard County, charged-off, debt, forgiveness, lawyer, Melbourne, Space Coast on September 1, 2015 by Michael Faro. 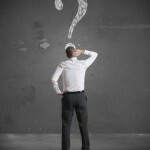 Can Bankruptcy Eliminate My Judgment Liens? When an individual borrower falls behind on paying their bills, creditors start filing collection lawsuits in order to a obtain court judgment. Once the judgment has been granted in favor of the creditor, the collection efforts begin. One common collection tool used by many creditors is to place a judgment lien against your house or other real property. This type of lien can help ensure that the creditor will eventually get paid what it is owed, even if it years down the road. How does this occur? The borrower cannot sell his or her home without paying the creditor from the proceeds of the sale in order to remove the lien. If you have judgment liens filed against your home, filing a personal bankruptcy may be the best option for removing them. Before you implement this strategy, however, it is essential that you confer with a seasoned bankruptcy lawyer. You should be aware that simply obtaining a discharge order will not automatically eliminate the judgment liens filed against your home. In some cases, you can “strip” an inferior mortgage lien. For more information on lien stripping, please read our blog titled “Stripping Off Junior Mortgages in Bankruptcy.” There are also certain types of liens, such as tax liens, that are not avoidable. Generally, a judgment lien can be discharged pursuant to 11 U.S.C. § 522(f). You can discover if a judgment lien has been placed against your property by searching the records in the counties where you own real property. 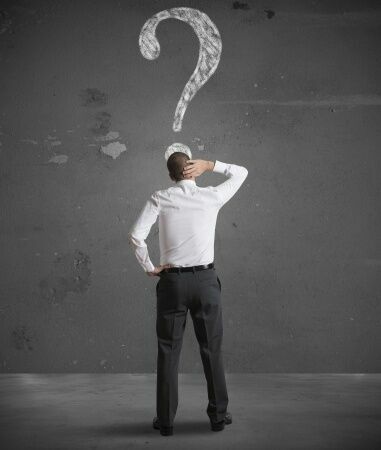 Many debtors get confused at how judgment liens are handled in their bankruptcy case because the underlying debt can be eliminated but the lien remains intact unless specific action is taken to remove it. A debtor must remove the judicial lien of a non-priority creditor to the extent the lien encumbers the value of the debtor’s exemptions in the property. This means that if the value of the equity in your home would be exempt even without the lien, you can file a motion seeking to avoid the lien. Upon court approval of your motion, the lien is removed from the title on your real property and it is no longer valid or enforceable. If you have judgment liens filed against your home and you are interested in learning more about removing them in bankruptcy, call us today to schedule your initial consultation. We are located in Melbourne, Florida on Sarno Road and serve residents and businesses of the Space Coast and Brevard County. This entry was posted in Bankruptcy, Chapter 7, Debt and tagged collection, house, judgment lien, property, real property on August 27, 2015 by Michael Faro. Many people who fall behind on their bills feel overwhelmed when creditors start filing collection lawsuits against them. In fact, it is not uncommon for people to simply ignore the lawsuits and hope they will simply go away. This tactic never works! As soon as you are served with a petition or complaint against you, confer with an attorney so you understand all of your options. Personal bankruptcy. If you are feeling overwhelmed by your debt, filing a Chapter 7 or Chapter 13 bankruptcy may allow you to discharge or cancel a collection judgment entered against you. Again, you should consult with a debt relief lawyer to confirm that the type of judgment entered against you will be discharged, but this could save you thousands of dollars! Wait and see. If you are reluctant to file a personal bankruptcy, you may consider waiting and seeing what actions the creditor pursues after obtaining the judgment against you. Of course, there is substantial risk involved depending upon your unique situation. In fact, this course of action (or inaction) is only suggested if you are considered to be “judgment proof.” In other words, you do not own any non-exempt property or other means for the creditor to be able to collect the judgment from you. Additionally, if the creditor fails to take any action to enforce or renew its judgment against you, the judgment will eventually expire. Negotiate and settle. Don’t make the mistake of believing your settlement options are over once a judgment has been entered against you. Many creditors are still willing to settle your debt post-judgment in order to avoid incurring the expenses associated with trying to collect from you. Thus, you may be able to pay off the judgment for less than the full amount. 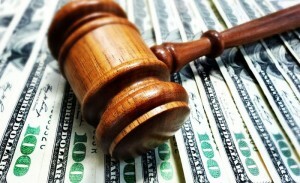 In some cases, you may be allowed to set-up a payment plan to satisfy the judgment. Just remember, you must obtain a court-stamped satisfaction of judgment in order for the unpaid judgment notation to be removed from your record! Call us today to schedule your initial consultation. Our office is located in Melbourne on Sarno Road, but we proudly serve individuals and businesses across the State of Florida. This entry was posted in Debt and tagged bankruptcy, creditor, debt, judgment, negotiate, settle on August 19, 2015 by Michael Faro.